HiPay is PCI DSS Level 1 certified, which is the highest certification level. This status requires us to perform regular updates on our platform to ensure you maximum security. An important security update on HiPay’s PRODUCTION environment has thus been scheduled on February 28, 2019. As a result, the length of tokens for payment cards will go from 40 to 64 characters. Current 40-character tokens will remain valid until the expiry date of the related payment card. Please share this important information with your IT department to adapt your processing procedures to this new field size. 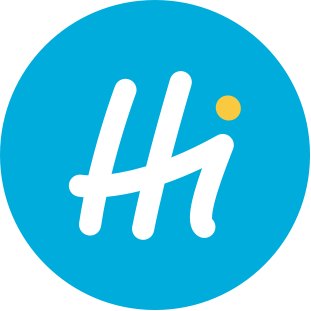 To make sure that your system will work properly after this change, you can already run tests in HiPay’s stage environment. For more details, please read the answers to the following frequently asked questions. Will my current tokens for one-click payments still work? Yes, they will remain valid until the expiry date of the related payment card. Will my current tokens for payments by installments still work? What will happen if I request a token for a card for which a 40-character token already exists? The tokenization API will send you a new 64-character token to replace the former 40-character token. Does a card will have always the same token? Non, each time you will ask a tokenization for a card a new token will be sent. I use a Magento module + HiPay Enterprise: is there something I need to do? If you do not have the latest version of the module, you must update it through the following links. I use a PrestaShop module + HiPay Enterprise: is there something I need to do? I use a WooCommerce module + HiPay Enterprise: is there something I need to do? If you do not have the latest version of the module, you must update it through the following link. I use a WiziShop module + HiPay Enterprise: is there something I need to do? Please contact the WiziShop support team to validate with WiziShop that your instance is compatible with this security update. I use a Salesforce module + HiPay Enterprise: is there something I need to do? I use the iOS SDK: is there something I need to do? If you do not have the latest version of the iOS SDK, you must update your integration through the following link. I use the Android SDK: is there something I need to do? If you do not have the latest version of the Android SDK, you must update your integration through the following link. I use the API tokenize function: is there something I need to do? If you have any additional questions, please contact us through our Support Center.